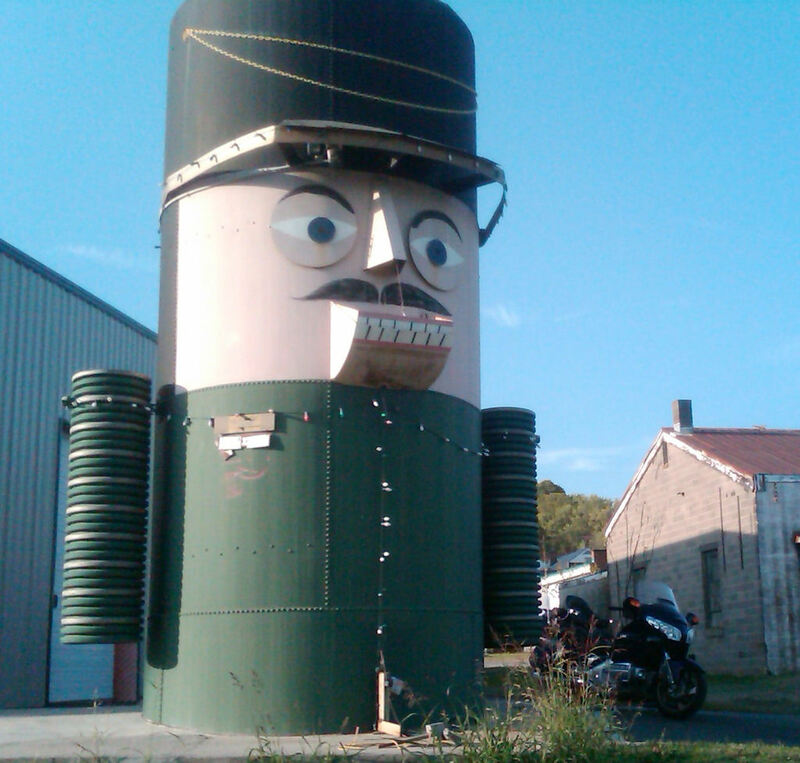 Here is a nutcracker made out of a vertical tank. 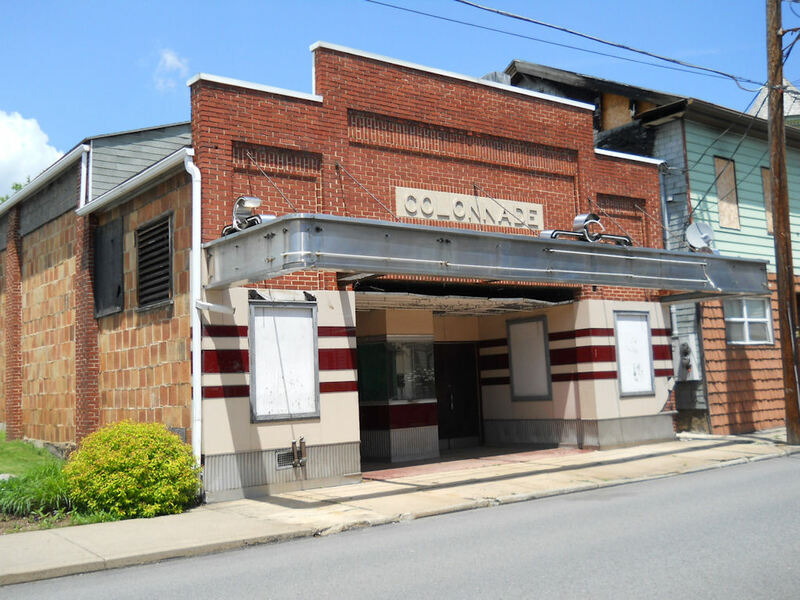 Its located in the town of Orange, Virginia (home of Waugh Harley Davidson). The funny part is that I’ve been right past it many times and never noticed it until someone told me about it. Click here to see the one in Syracuse, Nebraska. 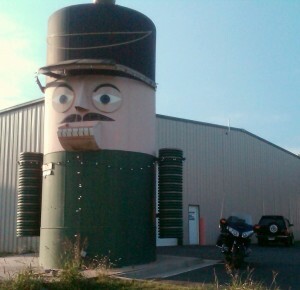 This nutcracker was made from an old tar tank by my husband Bob Langford. He bought the land the tank sits on and didn’t want to tear the tank down so he gave it some thought and decided on a nutcracker. He used a 79 chevy hood for the brim, old ceramic saw blades for the eyes you get the picture recycled a lot of things for him. We light him up for Christmas has been a lot of fun for this small town. 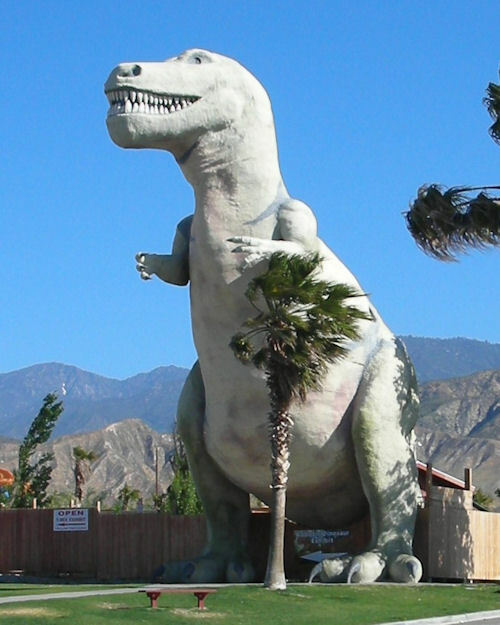 Hope you can stop and see him we would love to have you take pictures and enjoy him. I was tickled when Mike submitted this. I will make a point of stopping to see it in person the next time that I’m down in Virginia! How crazy is that that his brim is a Chevy hood. Your husband is a creative thinker! Hello Ruth Ann, Glad that you stopped by.